Wrap a cookbook using a dish cloth or tea towel for the perfect reusable gift wrap! 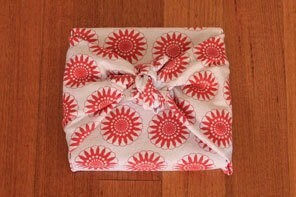 I love using tea towels to wrap cook books. I think it's a great way to wrap them up that's a little bit different. It's really simple but looks like you've gone to lots of effort. It's nice for house-warming presents too. 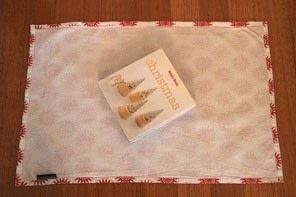 You need a fairly large tea towel for a regular sized cook book, so keep a look out for jumbo dish cloths. A tea towel about 3 times the height of the book is perfect. 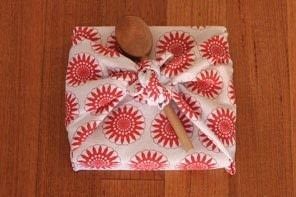 Finish it off with a wooden spoon, whisk or a few cute cookie cutters. A bottle opener would work well with a wine or cocktail book. Take your tea towel and lay it out flat. Put your book in the middle, on the diagonal. It should roughly be in line with the opposite corners of the tea towel. Fold in the sides so that they are parallel with the sides of the book. Fold them over the book to make sure they just overlap each other. When you've got them right, fold them both into the middle. 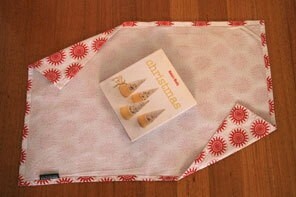 Fold one of the ends in to a point as you would with paper gift wrap. Pinch the edges in so that they are smooth against the book. 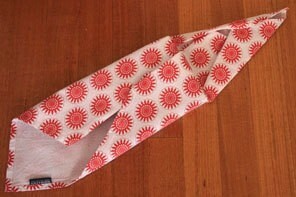 Fold the flap in and repeat on the other end. Take the tails and tie in a knot in the middle. If they are too chunky to get into a knot, tie them together with kitchen string. 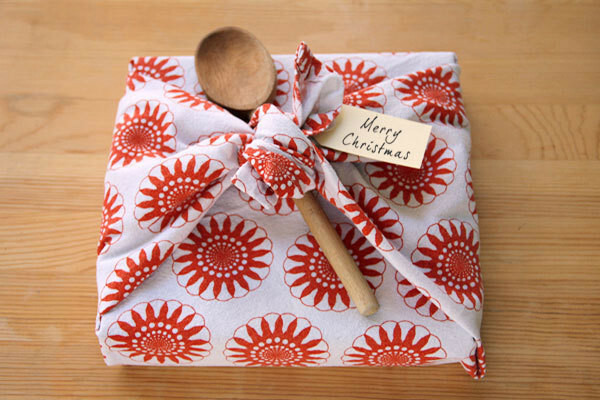 For a finishing touch, tuck a wooden spoon, whisk or other kitchen utensil under the knot.